In April last year, Google tweaked their search algorithms so that podcasts – internet-based talk shows – now appear alongside text, image, and video results. If the message wasn’t already clear, it should be: podcasts are big, and more international brands are taking advantage of their rise to expand their reach. With podcast ad spending expected to reach $534 million by 2020, it’s increasingly evident that advertisers worldwide have realized the vast potential of engaging with podcast audiences. 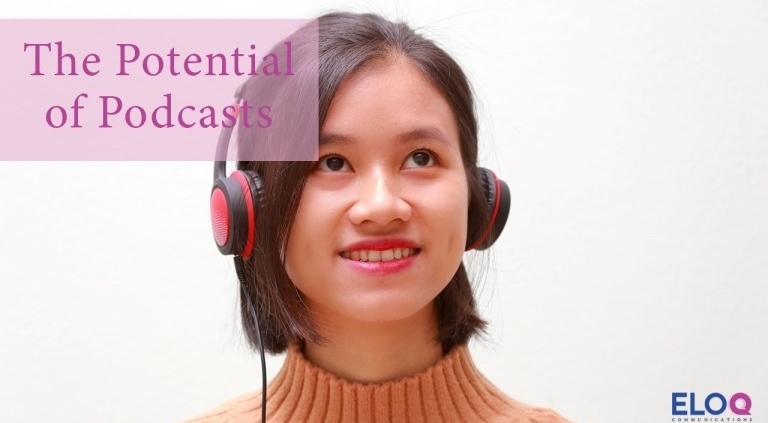 Awareness of podcasts is also growing in Vietnam, and with it comes the potential for a more direct form of engagement with a brand’s target audience. The booming Vietnamese start-up culture and surplus of tech-savvy millennials are pushing non-traditional means of doing business and receiving information, and podcasts are among their new frontiers. Podcast hosts often speak directly to listeners, creating the sense that fans know them personally. This lends itself to an important characteristic of podcast advertising: rather than taking a break to air pre-made ads, podcast hosts tend to read out advertisements themselves. Thus the ads feel more like part of the show, creating an association between positive feelings audiences have for the show and their feelings about the product, and likely playing a part in the fact that 77% of podcast audiences choose not to skip the ads. Due to this close association between host and advertising, when brands choose to promote themselves on a podcast they should make sure its host has the appropriate character and tone to communicate their desired message in a way that feels genuine. Those brands which have significant social media followings can leverage their knowledge of their followers’ content preferences to engage (and even cross-promote) podcasts which meet similar needs. Podcasts tend to attract a certain highly desirable but challenging audience segment. They are inclined to be educated and affluent, and they spend more in consumer categories such as travel, tech, entertainment, and transport. 58.2% of listeners are university graduates, and students are twice as likely as non-students to be podcast fans, so the audience of a given podcast often spans generations. These audiences also tend to be active listeners who choose content based on their interests, an enthusiasm brands can tap into by promoting themselves on podcasts based around their industry or reflecting their desired image. The Vietnamese YouTube star who goes by ‘Dang HNN’ has introduced his audience from YouTube to his podcast series which features him narrating various books, positioning himself as both content provider and curator. Currently sitting on iTunes Store Vietnam’s top 50 shows, the podcast is streamed alongside a multitude of international (generally English-language) business, lifestyle, and educational shows. By expanding into podcasting, Dang HNN has increased his potential fanbase and given his existing fans a new way to connect with him, while opening the door for new kinds of sponsorship. Asia Pacific markets have seen a sharp uptick in online presence in recent years. Millennial audiences in the region are increasingly made up of information-driven individuals. As traditional forms of media lose sway, these autodidacts often turn to non-traditional media – including podcasts – to learn more about the world. Brands can tap into this interest by sponsoring platforms for valuable information and perspectives from a range of credible sources, such as industry insiders and high-profile guest speakers. Those brands which create an association between themselves and the content people seek can carve out a space among otherwise challenging demographics. Dao Chi Anh, founder and CEO of KAfe Group, Inc., has done just that. The Hanoi-based entrepreneur, who runs both a trendy café and an online store, has created her own podcast series that discusses her pursuit of success and happiness along the journey of building her brand, thereby tapping into an audience of educated and entrepreneurial individuals. This is a subject of interest far beyond fans of her café, but it also drives brand awareness for KAfe Group and attaches a relatable human face to its business. 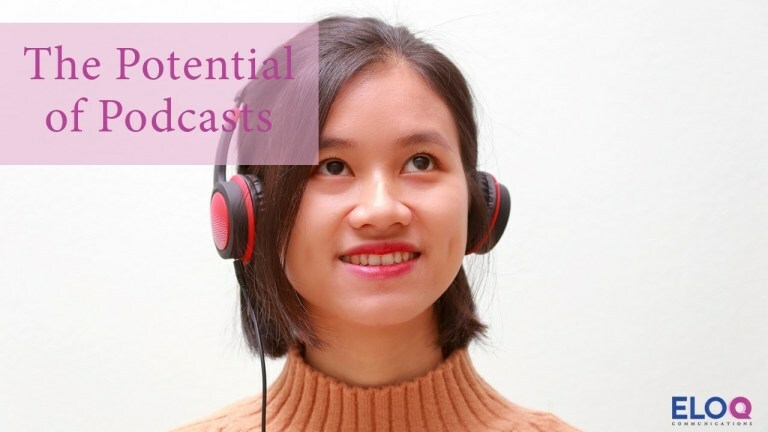 Whether designed to entertain, generate conversation, or inform, the podcast medium in Vietnam is full of untapped potential waiting to be harnessed. For those companies whose target audiences are likely podcast listeners, this is a great time to explore opportunities with advertising and content creation in the podcast realm. This post was published by EloQ Communications, Vietnam, and written by Jesse Ward, a Strategy and Relationship Executive at EloQ Communications. It was originally posted on EloQ’s blog here. For more information on EloQ Communications, please visit www.eloqasia.com.